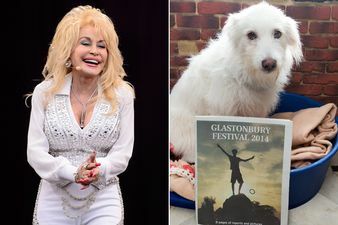 Home Tags Posts tagged with "lurcher"
Dolly Parton has announced she wants to adopt a dog that was left behind following the exodus of Glastonbury Festival 2014. The white lurcher was discovered in one of the 5,000 tents discarded at Worthy Farm during a clean-up of the 1,200-acre festival site last week. Taken in by the Happy Landings animal shelter, the dog was named Dolly after Dolly Parton stole the show with her debut performance at the event. Dolly Parton, 68, said she would take it in if its owner was not found. The shelter, which described the dog as a “sweet-natured older lady”, said it had received “many, many phone calls” but that it would not be re-homed “until we can ascertain whether she has an owner”.